Home Scratching Scratching Alternatives What Is the Best Cat Scratching Post for Your Cat? When it comes to picking out a cat scratching post for your cat, there are many important things you need to consider. The shape, material, size, weight, and overall look of the post should all be carefully considered before you make a purchase. Don't be fooled by a cheap price tag—any money, whether a small or large amount—is wasted if your cat doesn't like what you present to him. Below, we'll walk you through the process of choosing the best cat scratching post for your furry feline friend, ensuring that the first purchase you make is a good one. Is it strong, sturdy, and tall? Is it covered in a good scratching material that will satisfy your cat's urge to shred? Does the post incorporate both vertical and horizontal scratching surfaces? Are there a variety of materials and surfaces to keep your cat entertained and happy? If you have multiple cats, is there enough space for them to share the post? Be sure to go through all five of the above questions before settling on a post. If you let one or more of the suggestions slip, chances are it will turn out to be a waste of time, effort, and money. Choose the best post first. When it comes to cat scratching posts, you want to choose a brand that upholds all of the crucial standards listed above that help ensure you're getting a high-quality product. Our favorite brand is Purrfect Post®, and we'll tell you exactly why we value them so highly. They are strong, sturdy, and tall. Anchored by double-thick, heavy bases, these posts will withstand your kitty's lengthiest stretches and deepest scratching behaviors. The vertical posts come in a variety of heights and diameters, and all of the products are large and roomy—your cat will be thrilled with all of the stretching and scratching space these posts offer. Plus, each product is hand-crafted with love in the USA and shipped carefully straight to your home. They use the best scratching materials. 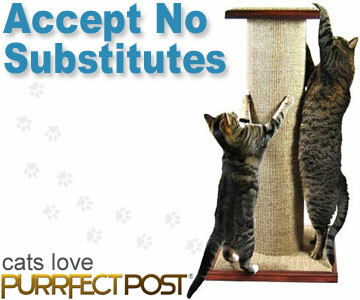 Purrfect Post® covers all of their posts and scratching surfaces in the best scratching materials. Veterinarians know that sisal fabric is the preferred scratching material for cats. Actually, most cats prefer sisal fabric over any other material, including sisal rope. The consistent weave and texture allow claws to latch on and get a nice, deep scratch. Cats also love to shred thick, corrugated cardboard, and Purrfect Post® has not ignored that preference. The Purrfect Angle® has a corrugated cardboard insert option that is sure to please your cat. Purrfect Post® even offers replacement parts for all of their products, so your kitties can scratch and shred continuously, and you won't have to dump money into an entirely new product. Their posts come in a variety of shapes and planes. Just like us, cats love variety. It's important to provide your cat with both horizontal and vertical scratching surfaces to ensure they're able to get the stretch they need as well as shred away in any position they desire. 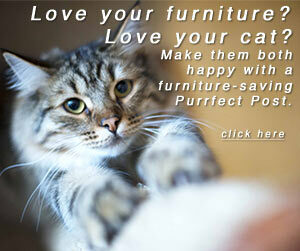 Purrfect Post® offers all types of surfaces. From flat and angled surfaces to vertical cylindrical posts, Purrfect Post® satisfies all kinds of scratching urges. There are plenty of post options. If you run a multi-cat household, it's crucial that you provide space for everyone to scratch and lounge in harmony. Purrfect Post® offers discounts on combo product purchases, saving you money and ensuring your feline friends have all the room they deserve. One cat can relax in the cozy bed on top while another cat (or even two!) can satisfy their scratching needs below. There are options for the humans, too. When you choose your cat scratching posts, you'll want them to be beautiful to you, too. Purrfect Post® products are available in a variety of sisal colors, wood stain colors, and bed colors. 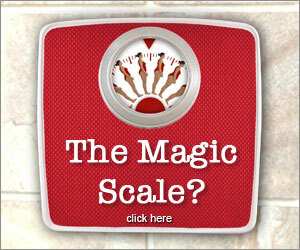 You can make posts that are perfectly suited to your home and décor. Just as its name suggests, this cat scratching post is striking and remarkable. At 39 inches tall, it's a giant post that is great for all cats, small and large. The thick post provides plenty of space for kitties to stretch long and wide. Even the base is covered in sisal fabric, providing cats with a horizontal scratching surface as well. Go Deluxe to receive the plush carpet bed on top (available in leopard, deep brown, or cappuccino) for a cozy spot to nap and lounge. Place it near a window, and it doubles as a place to watch the birds and sunbathe. If your cat can't get enough of the shredding satisfaction provided by corrugated cardboard, the Purrfect Angle will quickly become his favorite scratching pad. Unlike other light and flimsy cardboard scratchers, the Purrfect Angle is heavy and sturdy. A thick and hefty corrugated cardboard insert is mounted in a solid wood base tilted at just the right angle to provide your cat with the best stretching opportunities. Many cats will position themselves bottom-up to thoroughly stretch their shoulders and upper back, but the options are endless. Best of all, the cardboard insert is quick, easy, and cheap to replace, providing your cat with endless entertainment. If you have multiple cats, this is the ultimate cat scratching setup. Available in two versions, Standard or Deluxe, either option will surely satisfy all the cats in your home, likely at the same time! You'll save money by ordering this combo deal—the Mondo plus the Purrfect View, or as cats like to call it, the Command Center. Don't be surprised if they start bossing you around from their ultra-high Purrfect Beds, which sit atop two thick, sisal fabric-covered posts, anchored in their own solid wood bases. (The Deluxe features two beds while the Standard features one bed and one platform.) If your cats want a little space from each other, simply position the two separate posts in their own private suites. Your kitties will feel like royalty romping around these hand-crafted masterpieces. Pair it with a Purrfect Angle, and they'll really go kitty-crazy! Whether you're looking for a basic post, like the Standard Purrfect Post®, or something more complex, like the Command Center, Purrfect Post® has all of your cat-scratching needs covered. Check out the website, PurrfectPost.com, for a full list of products as well as fun toys and cute accessories for your furry friends.